Want to browse the first chapter? Click the link below to tell us where to send it! Give me a sneak peek! Her children are all she has left. She’ll tear up heaven and earth to protect them…. Reeling from the loss of her family, Moira McCauley clings to the only love she has left – her twin sons. Her only dream is to give her boys what she didn’t have. Love. Stability. Acceptance. She’s succeeding until, a mysterious stranger destroys her precarious world with one bite, plunging Moira into a realm of ancient gods, witchcraft, and Celtic blood-drinkers. Faced with a dark secret about her own role in an age-old vampire war, Moira must make a terrifying choice: sacrifice her own children, or usher in the apocalypse. Moira struggles to come to terms with her new life and her past as she fights ancient vampires to protect her children. Can she save them? Or will she destroy everything and everyone in the process? 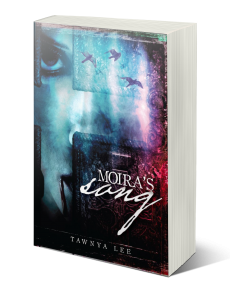 Moira’s Song is the first spell-binding book in the Moira McCauley vampire series. If you like fast-paced, gripping stories, badass, female heroines, vampire stories with a twist, and dark supernatural forces, you’ll love this book. Buy Moira’s Song and start reading your next supernatural obsession today! !